Last fall, every time I heard someone say “Belize,” my ears would perk up. 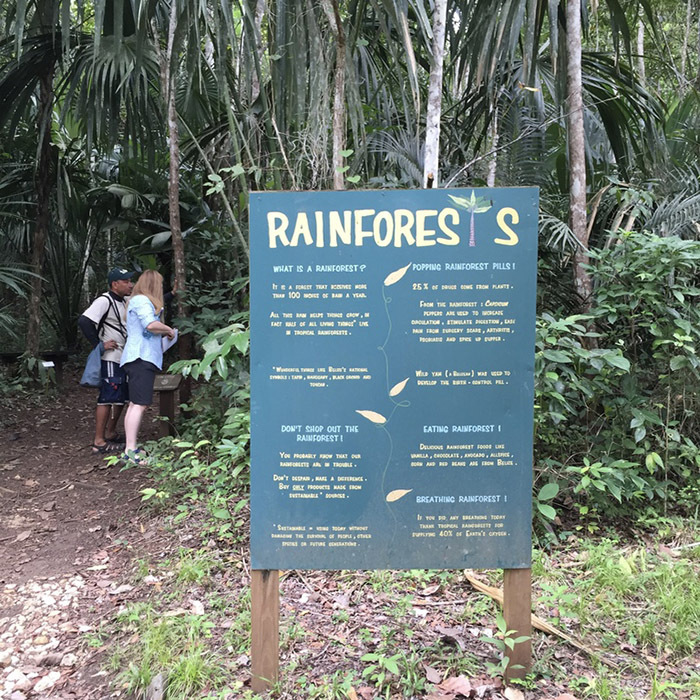 Now, most of the time, when people around me were talking about Belize, it was because they (or someone they knew) had been and wanted to recommend a particular site or activity. But once, it came up because a modality of massage called Mayan Abdominal Therapy originated in Belize. There happened to be a workshop in Seattle in November, and I signed myself up because obviously it was meant to be. 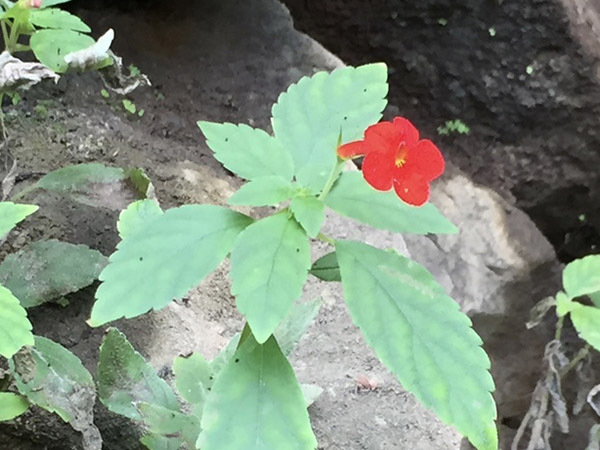 The workshop wasn’t exactly what I expected, but it did set up a very clear expectation for my trip to Belize: the Maya people had a strong connection to plant life as plants were used for food, buildings, clothing, medicine, and spiritual rituals, and that connection remains in Belize today. 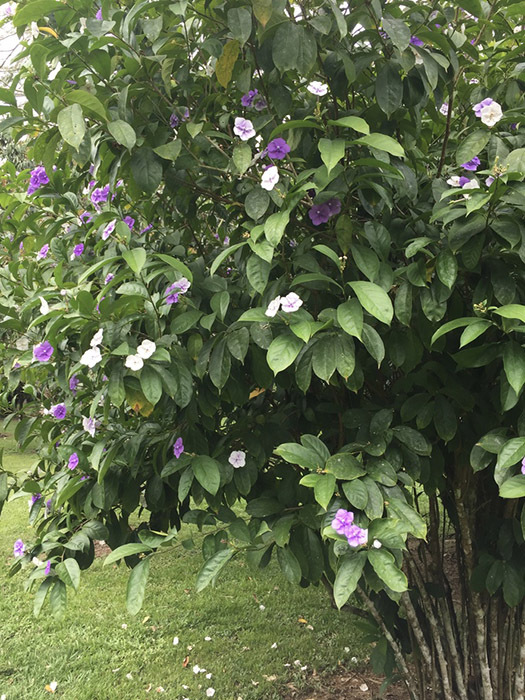 Dr. Rosita Arvigo, who studied with the Maya shaman Don Elijio Panti in Belize, brought the massage techniques and interest in medicinal plants to the U.S. 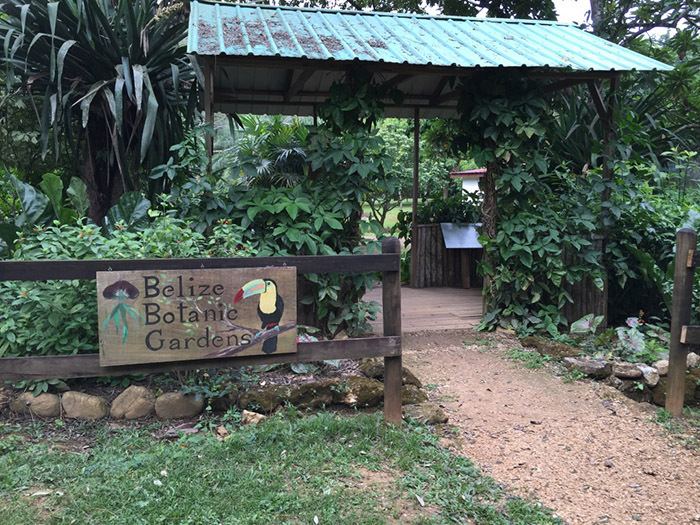 So when Mom and I arrived at Black Rock Lodge, and they mentioned that the Belize Botanic Gardens were just a canoe float away, I convinced Mom that we had to visit. 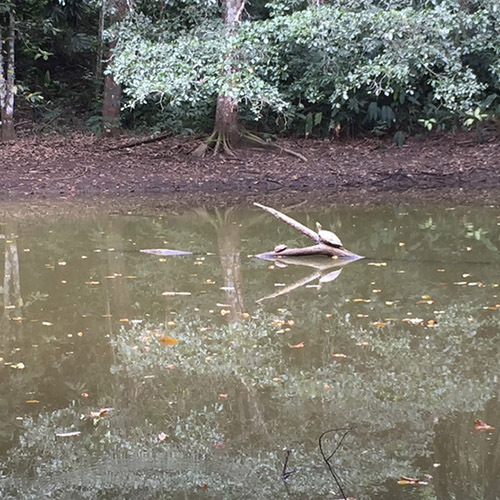 Before we got into the canoe, our guide Isaias warned us to keep our expectations in check – the gardens are not full of lush, beautiful flowers; but mostly medicinal plants. 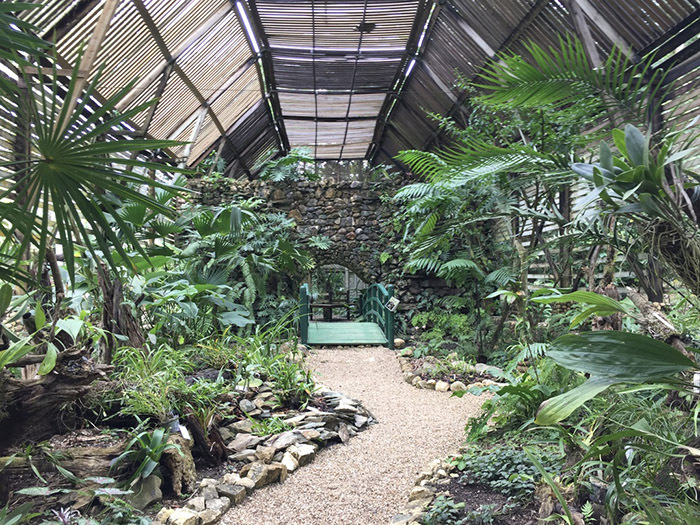 We walked through the grounds, ending up in the orchid house, which was full of lush, beautiful flowers. So let’s start there. 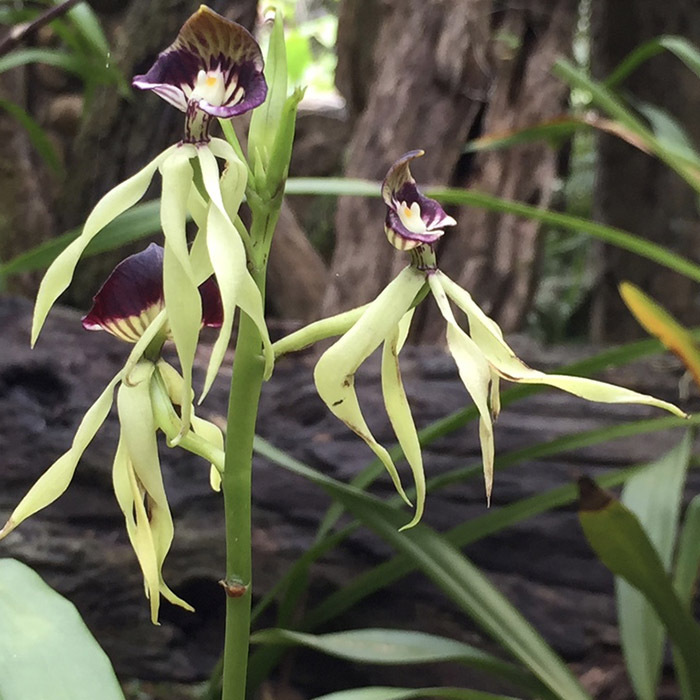 This is Belize’s national flower – the black orchid. It’s an air flower, and usually grows on trees. 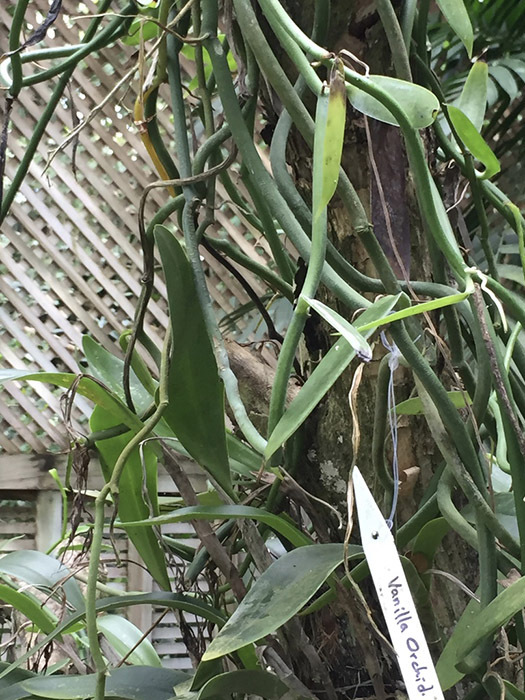 This is a vanilla orchid – it wasn’t currently flowering, but the flower produces the pod that has the vanilla flavoring we all know and love. This is the only orchid that produces edible fruit! 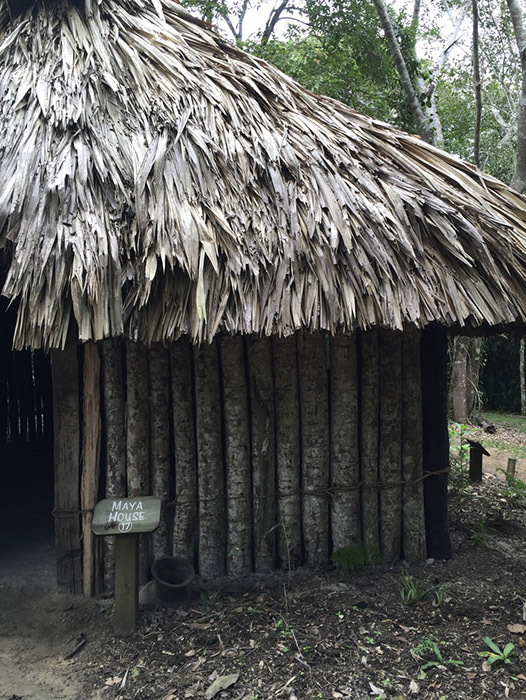 Another attraction was the Maya House, which was built completely out of materials from the botanic gardens, including a bed and kitchen inside. 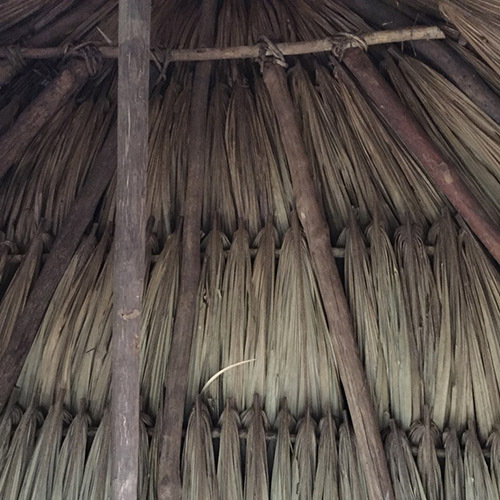 The roof of the Maya House (as well as all the palapas we visited during the course of our stay) was thatched with leaves from the bay leaf palm tree. The leaves are bundled together and tightly woven to deter bugs from nesting in it and resist water. 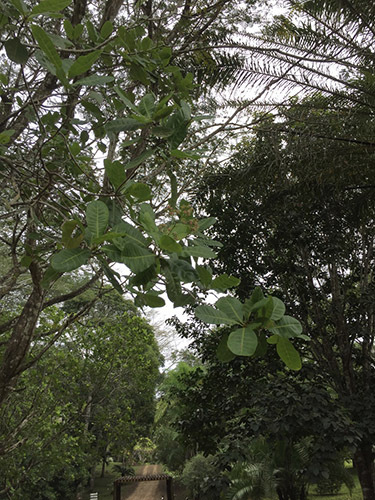 Several of our guides explained that the leaves have to be cut between the full moon and the new moon; if they are cut after the new moon, the molecules will be spaced further apart and the leaves won’t be as stable. Apparently, part of the roof over Black Rock Lodge’s restaurant had not been harvested at the right time in the moon’s cycle, and was prone to rot where the rest of the roof was fine. 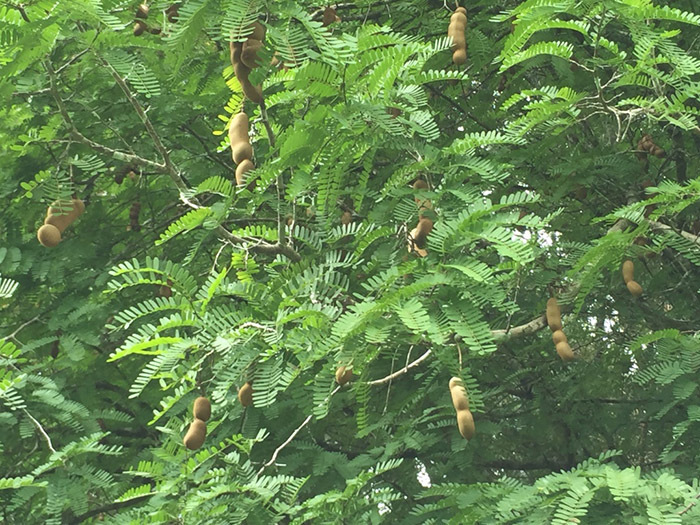 These are tamarind pods! I’m not sure why (maybe something to do with my quest to make the perfect pad Thai sauce, or maybe it’s the tamarind flavored margaritas I like at Matador) but I’m obsessed with tamarind. I’ve found tamarind pods and tamarind paste at our local Asian market, but I’d never seen them growing before. Isaias peeled a couple of pods for us to taste – they were extremely sour. 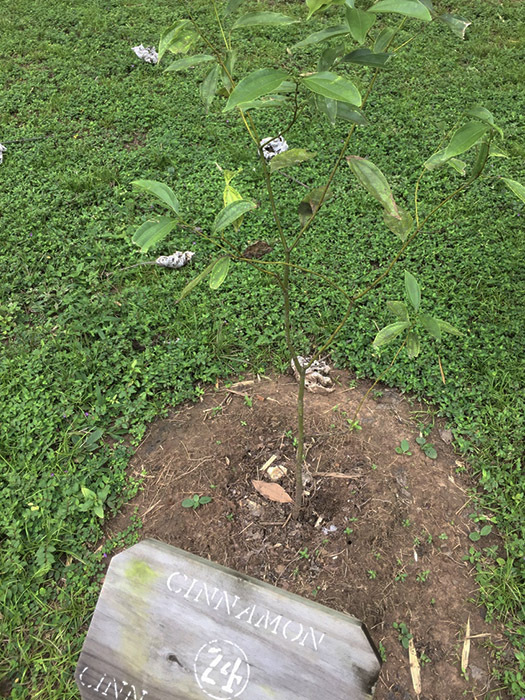 And this is a tiny cinnamon tree! Ground cinnamon of course comes from the bark, but we crushed the leaves up between our fingers and they were very fragrant. 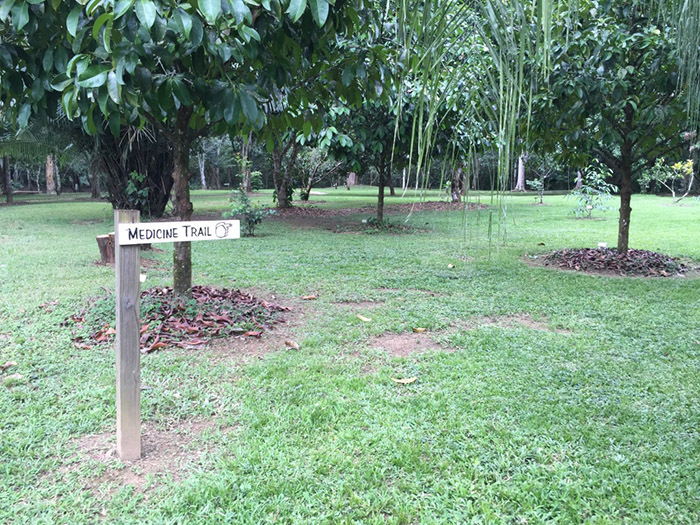 As we walked through the grounds, Isaias kept plucking different fruits out of the trees for us to taste. I was really hungry, but I can’t say any of the things we tried were particularly good! 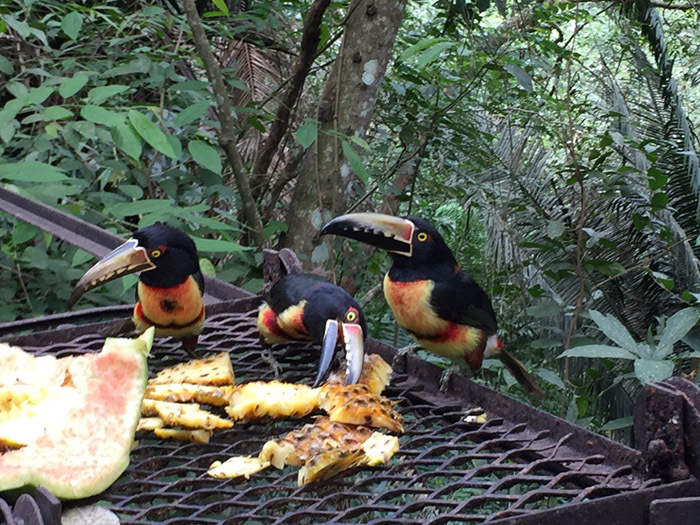 After the tour, we headed back to the restaurant for lunch, where these toucans were having some pineapple. But first, we walked through the rainforest portion of the grounds. Shop less. Favor used over new, and local over imported when buying. Drive less, and consider alternate modes of transportation and carpooling to use less fossil fuel. Make sure the flowers and foliage you buy in your flower arrangements come from a sustainable source. 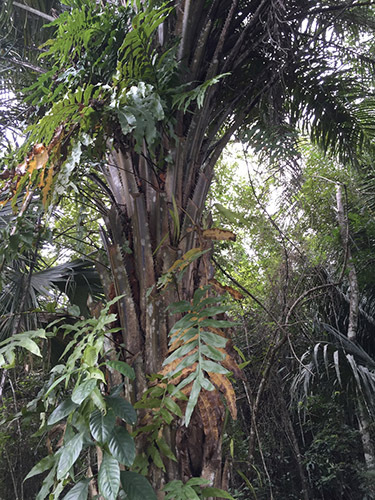 In particular, xate (fishtail palm) has been so popular as a decorative palm that it’s been over-harvested. 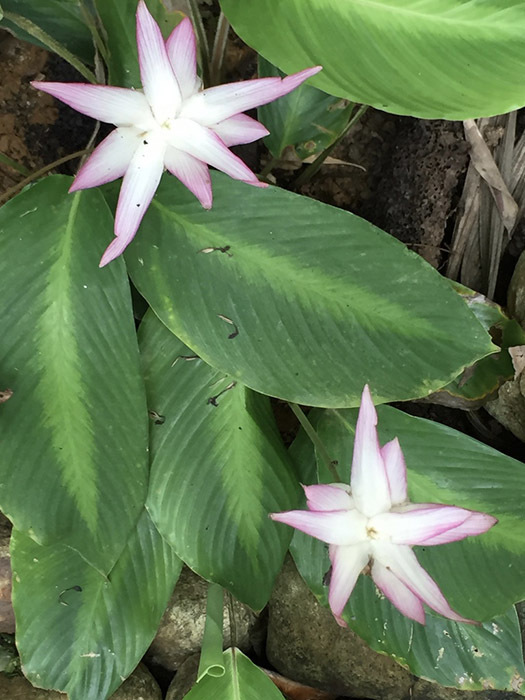 I’ll leave you with one last flowering plant we saw at the botanic gardens – this one is called yesterday, today, and tomorrow, because the flowers change color as they bloom. Back with more Belize adventures later this week!